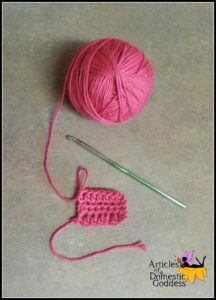 These are the basic crochet stitches in order of height. Go through each page below and spend a little time on each stitch/technique. It would be best to spend one day on each stitch/technique. You MAY be the type of person who wants to dive in and learn it all at once. It really is up to you. Chain a little, and follow along with the videos and photo tutorials. Don’t worry about it not looking like a real rectangle, and don’t worry about whether or not you’re skipping stitches. In this lesson, just worry about making sure you understand the actual composition of the individual stitches and that you know when to yarn over, where to put your hook and how many chains are in a basic turning chain. We will expand on that in the next lesson and this will still be accessible for reference. A list of patterns sorted by the stitch they use predominantly to help you to use your new stitches!